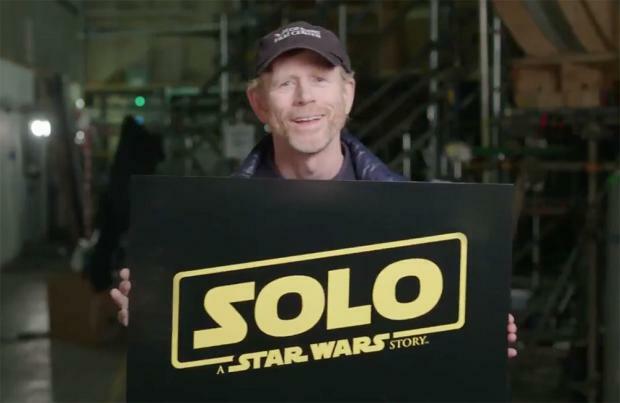 Ron Howard enjoyed the challenge of making 'Solo: A Star Wars Story'. The 63-year-old filmmaker took over the director's chair from Phil Lord and Chris Miller - who left the prequel spin-off due to creative differences - and although he felt the pressure of contributing a tale to the 'Star Wars' universe he relished every aspect of the job. Speaking to ABC News, Howard said: "Those are challenging projects. And they take, you know, a lot of very talented people's energy to try to live up to the legacy of 'Star Wars' and everything that it means. Of course, no spoilers coming from me but I had a great experience and I think fans are going to really enjoy it." 'Solo: A Star Wars Story' focuses on Han Solo - the Millennium Falcon owning space smuggler who becomes one of the heroes of the Rebel Alliance in their mission to destroy the Empire. The movie will focus on a younger version of the titular character, with Alden Ehrenreich taking over the iconic role from Harrison Ford. Han and Chewbacca will be seen first meeting Lando Calrissian (Donald Glover) and they will also encounter Woody Harrelson's alter-ego Beckett, who is believed to be a mentor to young Han who guides him on his journey to becoming an intergalactic criminal. And Howard recently revealed two new characters who will be appearing in the hotly-anticipated movie - Star Wars' comic book characters Tag and Bink. The characters were created by Kevin Rubio for 'Tag & Bink Were Here', a series of comic books in which the pair affect the events of the first 'Star Wars' trilogy and the prequels. 'Solo: A Star Wars Story' is slated for release in May 2018. The origin story of the young Han Solo (Ehrenreich), as he gets out of Corellia, meets Chewbacca (Suotamo) and Lando (Glover) for the first time, and runs into former lover Qi’ra (Clarke). Ehrenreich has just the right easy charm and despite some missteps it’s an enjoyable yarn with fine set-pieces.